Long before responsible and sustainable tourism became industry buzzwords, Sandals Resorts International asserted its commitment to the environment through continuous training of environmental health and safety staff, well-defined and progressive environmental policies and marked efforts to promote awareness at its resorts and surrounding communities. 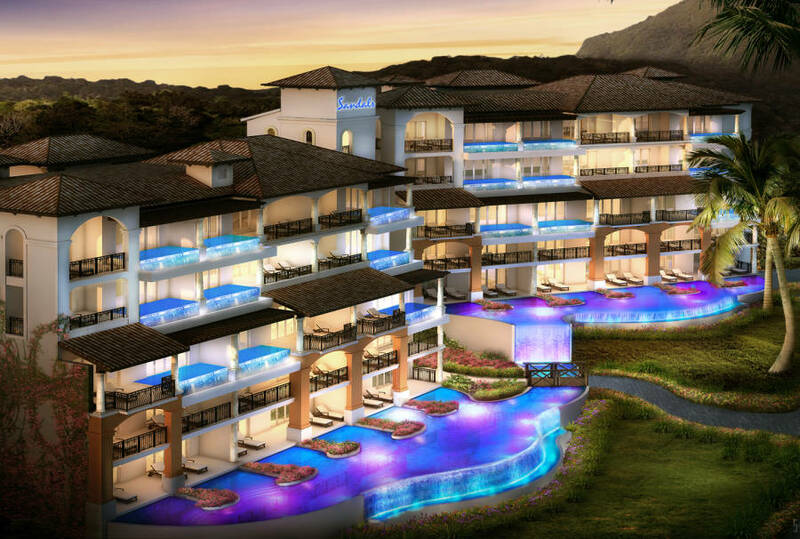 Operations at the company’s newest resort, Sandals LaSource Grenada, will be no different. Months before its official opening, plans are already well underway to ensure the implementation of all the company’s environmental programmes and policies. With its very own environmental management programme, Sandals Earthguard, almost into its third year, Sandals Resorts International is no stranger to responsible tourism. In fact, Sandals presently has the distinction of being the hotel chain with the most resorts certified platinum by EarthCheck, the world’s leading environmental certification and benchmarking programme that provides the scientific backbone for Sandals Earthguard. In order to achieve Platinum certification, Sandals Resorts International were required to measure and benchmark their annual environmental performance over a 10-year period against their peers and then have their systems and data independently examined and verified by a third party auditor. The company places great emphasis on energy, water and waste management and this guides all resort operations. In terms of energy management, the resort will boast ‘intelligent rooms’ featuring ‘smart thermostats’ and motion sensors for and air-conditioning. Doors and windows will also be engineered to allow for efficient use of air-conditioning, while solar technology will be used to heat swimming pools as well as a whopping 80 percent of guests’ rooms. In keeping with its practices across all resorts, Sandals LaSource will re-use ‘grey water’ from across the resort for irrigation purposes. Also, the condensate water from air conditioning units will be re-used as feed water for cooling tower. The resort will also operate an aggressive recycling programme which will see to the re-use of items such as paper, cardboard, glass and plastic bottles. Within the wider community sustainable relationships will be established with local crop and animal farmers, with the latter, especially pig farmers to receive vegetables and other items from the kitchen and pantry which will be used for composting and feeding. “Sandals not only has more Platinum Certified properties than any other hotel group in the world but they have continued to innovate and search for new solutions“, Moore continued. Sandals LaSource will boast a dedicated Environmental Health and Safety Manager tasked with promoting environmental awareness on and off property and ensuring all standards are met. The Sandals Foundation, after local consultation, will implement its own programmes geared at protecting and conserving Grenada’s natural resources. These typically include climate change and reforestation projects, marine awareness campaigns, coastal clean-ups and recycling campaigns as well as additional focus on education and community initiatives.